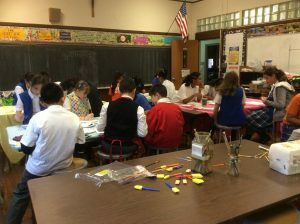 Holy Family Catholic Academy is a Catholic Elementary School offering high quality education from Pre-3, Pre-K to Grade 8. Our Pre-K program currently offers both half day and full day programs. 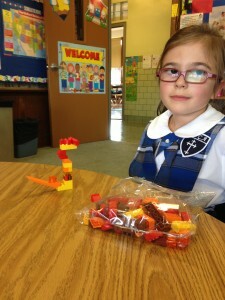 Holy Family Catholic Academy offers a high quality academic education rooted in the Gospel values. 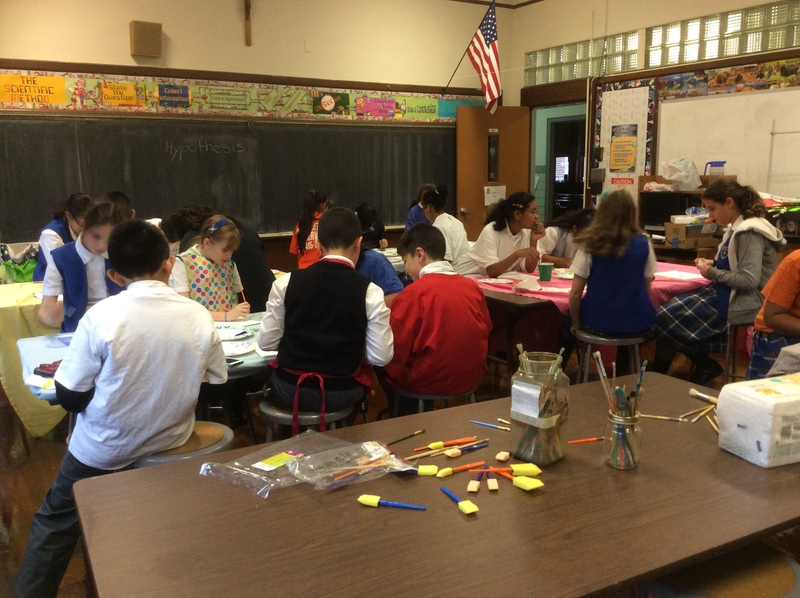 HFCA follows the curriculum as put forth by NYS Education Department and the Diocese of Brooklyn. As a Catholic Academy, religion and faith are a vital part of all we teach. The school day begins with daily prayers. Grades 3-8 take turns at the morning 8:30 Mass. Grade 2 joins Grade 7 in January/February as part of the Sacramental preparation. The day ends with prayers led by students. Throughout the year, we have seasonal Prayer Services and Liturgies. On the First Friday of each month, the school attends Benediction. In addition to the FIVE major subjects – Religion, ELA, Math, Science & Social Studies – students at HFCA also take Spanish, Computer/Library, and Physical Education. Students in Grades 2, 3, and 4 have recorder; students in all grades receive music appreciation. Classrooms from K to Grade 8 are equipped with a Smart Board. After School Program: We meet every day that school is in session. (Exception: We are closed the Wednesday before Thanksgiving.) The program begins at 3 p.m. dismissal (12:05 on half days) and ends at 6 p.m. sharp! The daily fee is $18 for 1 child, $26 for 2, and $32 for 3 or more children. (On half days, the rates are $26, $32 and $36.) Monthly fees, which must be paid within the first week of each month, are $275 for 1 child, $375 for 2, and $425.00 for 3 or more children. Early Drop Off: Regular Supervision begins at 7:40 a.m. Families who need to drop off their child/children earlier may do so for a small fee. Early Drop Off begins at 7:20. Band: Band Lessons are offered through the outside music company that does our Recorder Program. For those who would like to learn an instrument , a wide variety of choices are available. Band Lessons take place after school. Band is open to students from Grade 1-8. Grades 1 and 2 are limited to the violin. CYO: Holy Family Parish & Academy has an active CYO sports program. Basketball, Softball, Baseball, and Girls Swimming are offered. We also have both Girls and Boy Scouts. Registration for the sports programs takes place in both September and January/February. Altar Servers: Students in Grades 4-8 may serve as altar servers. Choir: Children in Grades 4-8 may serve God and the Parish by being in the Children’s Choir. The children sing at the 10:30 a.m. Sunday Mass. They also perform in the parish Christmas Concert. Aquinas Program: The Aquinas Program is an enrichment program open to students in Grades 6-8 who meet the criteria. Students work on outside research projects and presentations to participate in the Diocesan Aquinas Expo where they share their project and have the opportunity to see that of fellow diocesan students. National Junior Honor Society: This is an enrichment program for our 7th & 8th Grade students who meet the criteria. Members are expected to give service to the school and others. Our NJHS members help the academy by giving our school tours. Transportation: Holy Family Catholic Academy offers Yellow School Bus Service for Kindergarten to Grade 6 OR MetroCards (Full OR Half Fare) to families. Service is provided by the NYC Office of Pupil Transportation. Both services are FREE provided you meet OPT’s eligibility requirements. PLEASE NOTE: the Yellow Bus Service is NOT a door-to-door service. Stops are provided by OPT – families must choose stop that is closest to them. 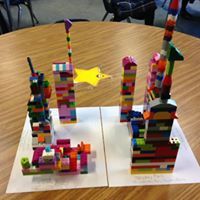 We also offer after school clubs for our Students including Lego Club, Art Club among others!